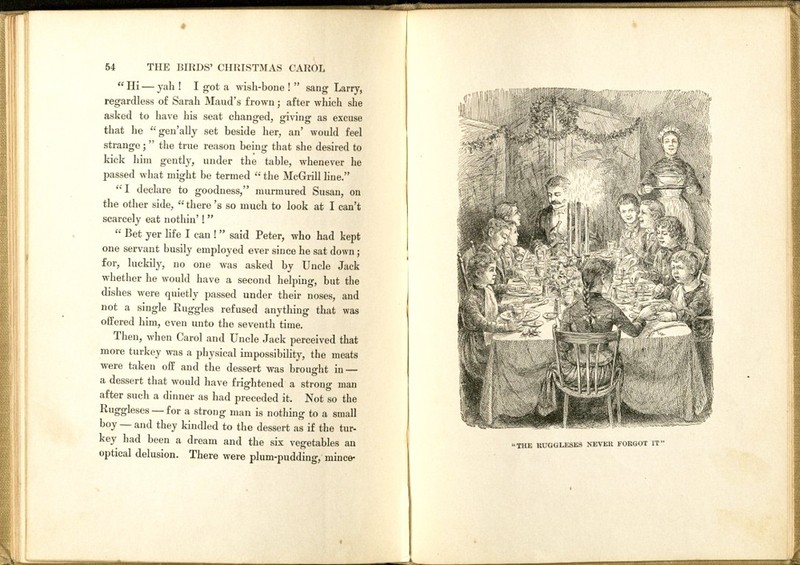 As the semester winds down across campus, enjoy some holiday-themed materials from our rare book, manuscript, and archival collections. 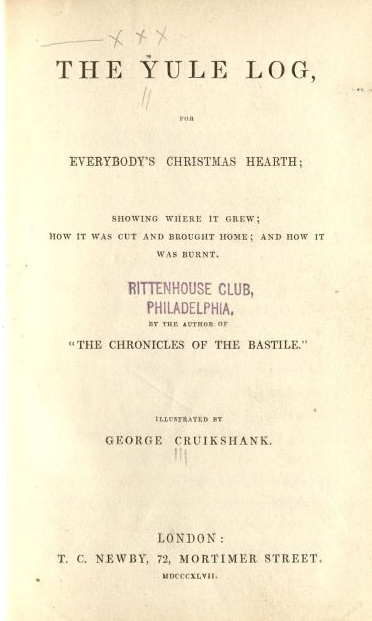 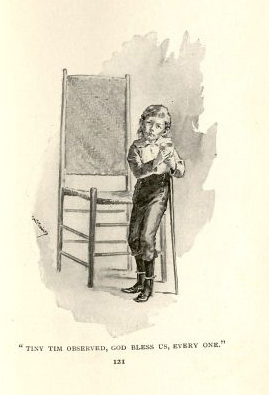 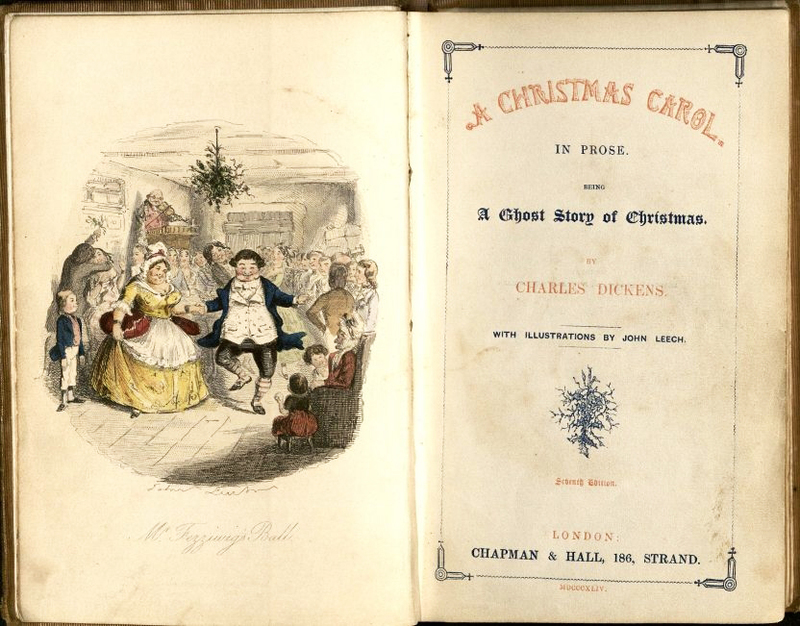 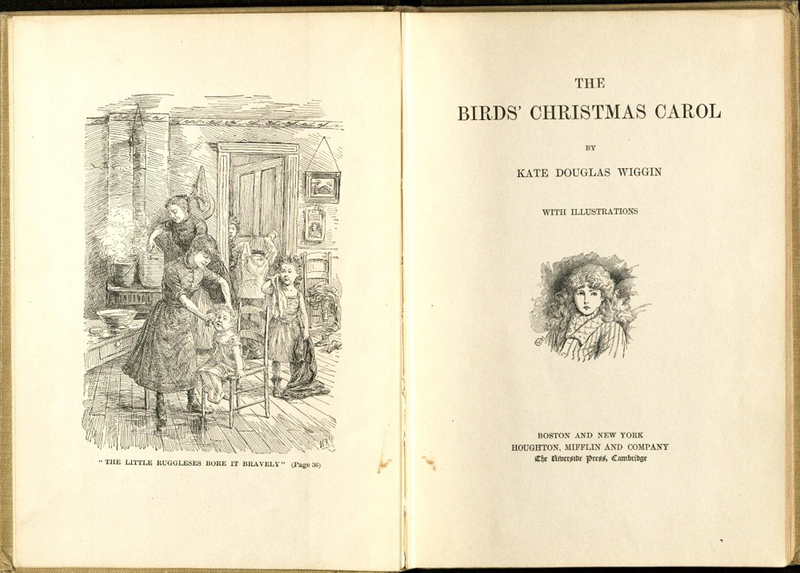 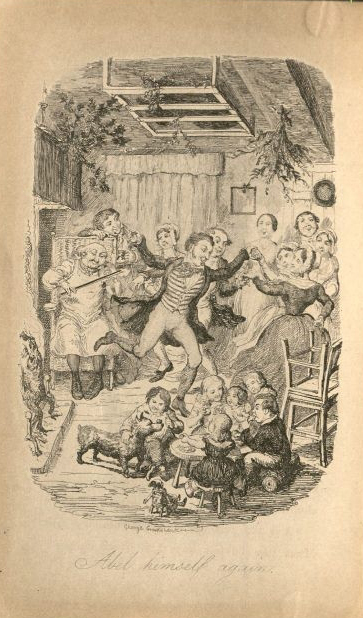 From the rare book collections are several holiday-themed works, including 1844 and 1899 editions of Dickens’ A Christmas Carol, as well as a work from Special Collections' Children's Books Collection, The Birds' Christmas Carol, about a young girl born on Christmas Day who plans a holiday celebration for a less fortunate family while in her sick bed. 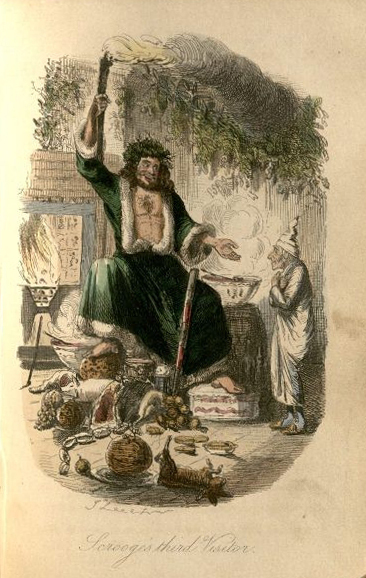 George Cruikshank, best known as illustrator for many of Charles Dickens' works, also illustrated The Yule Log, about the burning of a yule log from a haunted Beech tree. 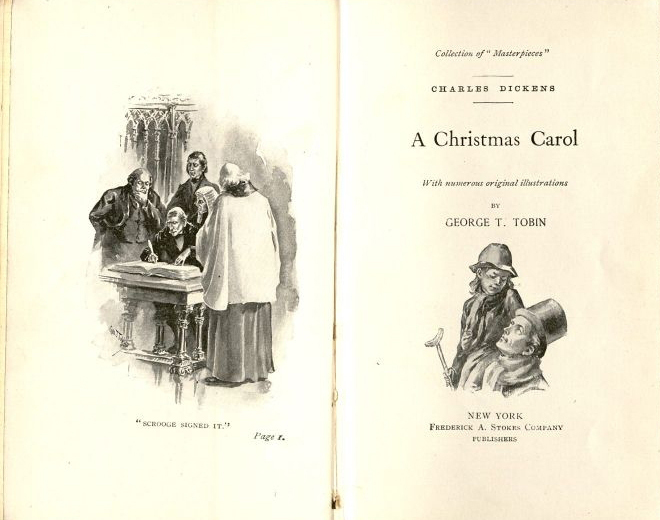 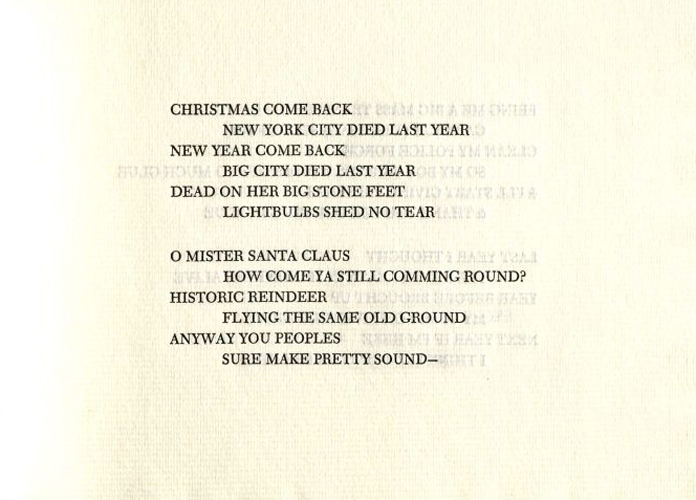 Some works of holiday-themed poetry are also a part of our collections, including T.S. 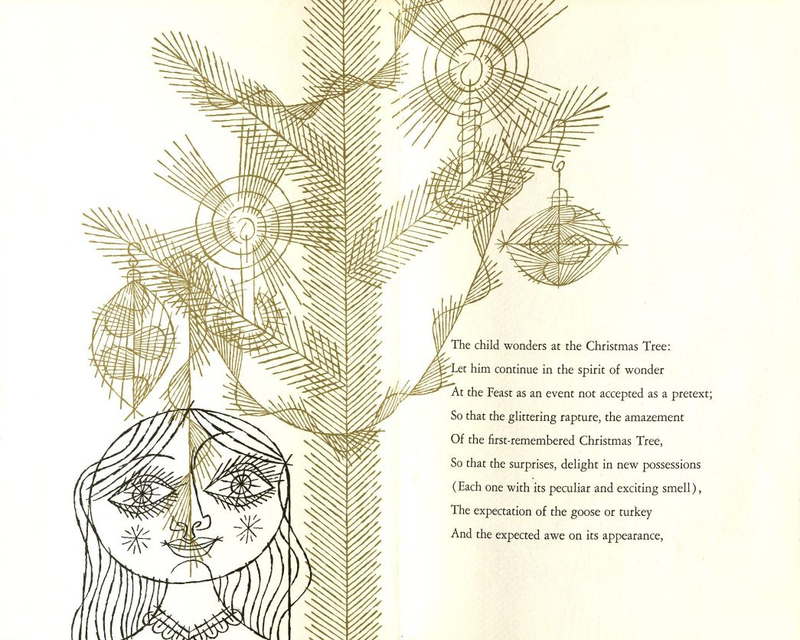 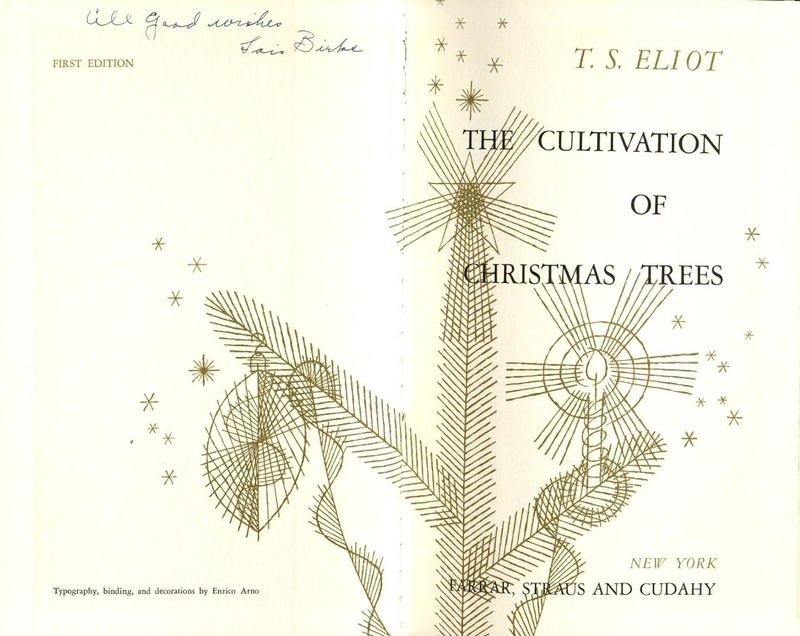 Eliot's beautifully illustrated Cultivation of Christmas Trees. 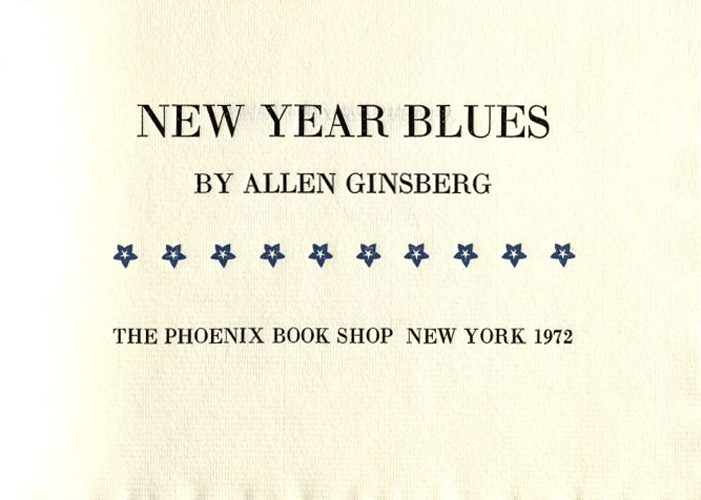 From the Thomas and Barbara McDermott Collection, our copy of Allen Ginsberg's New Year Blues is one of 100 numbered and signed by Ginsberg. 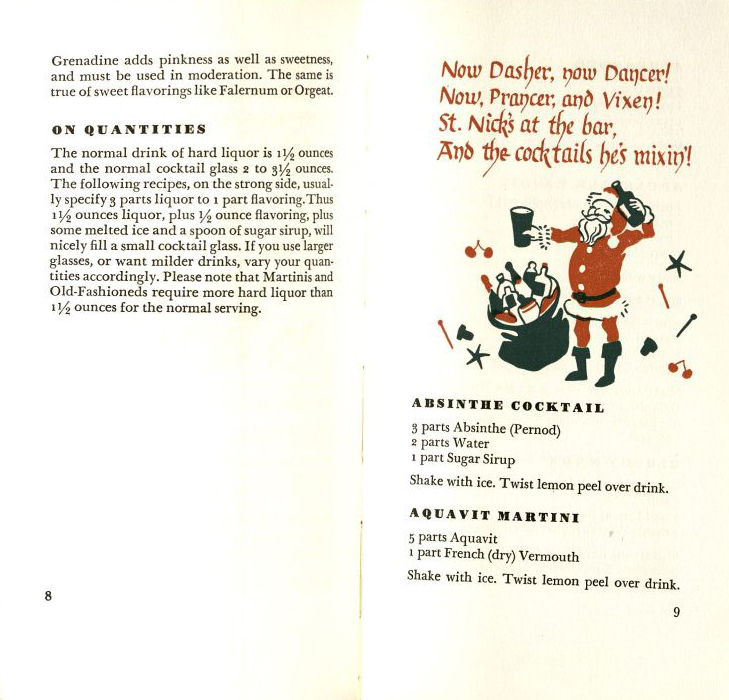 Gathering with family and friends during the holiday season often involves festive food and drink. 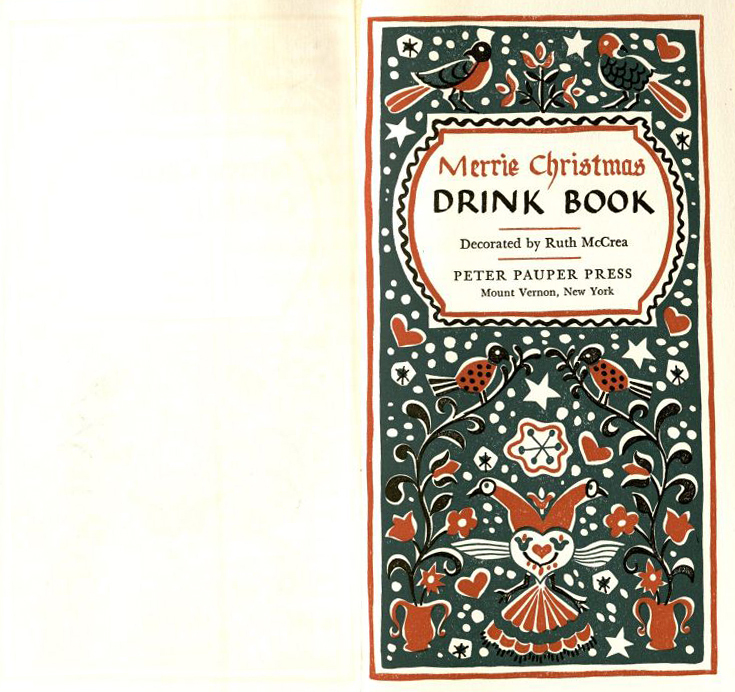 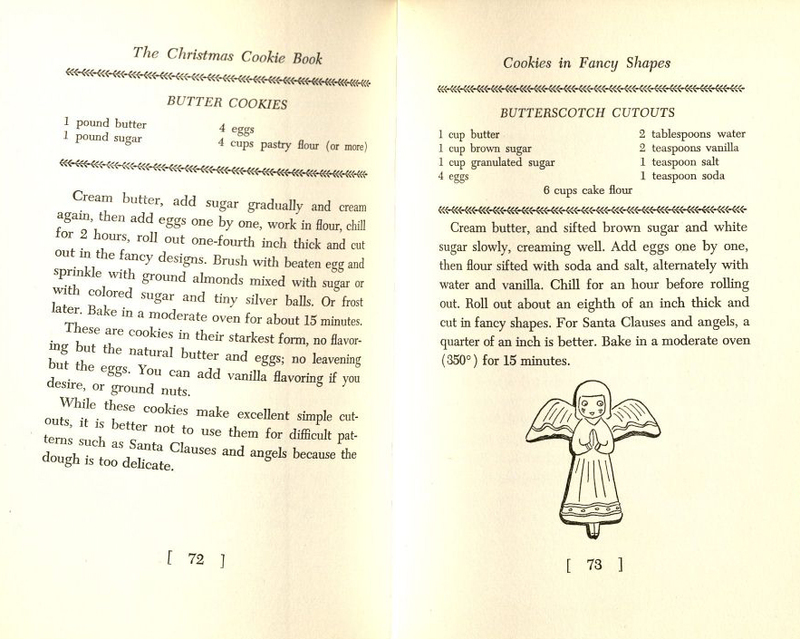 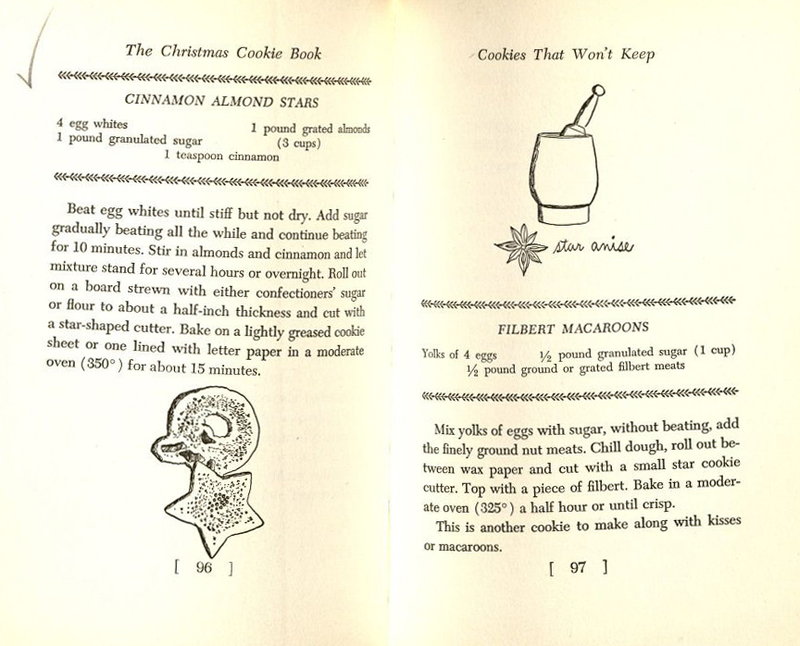 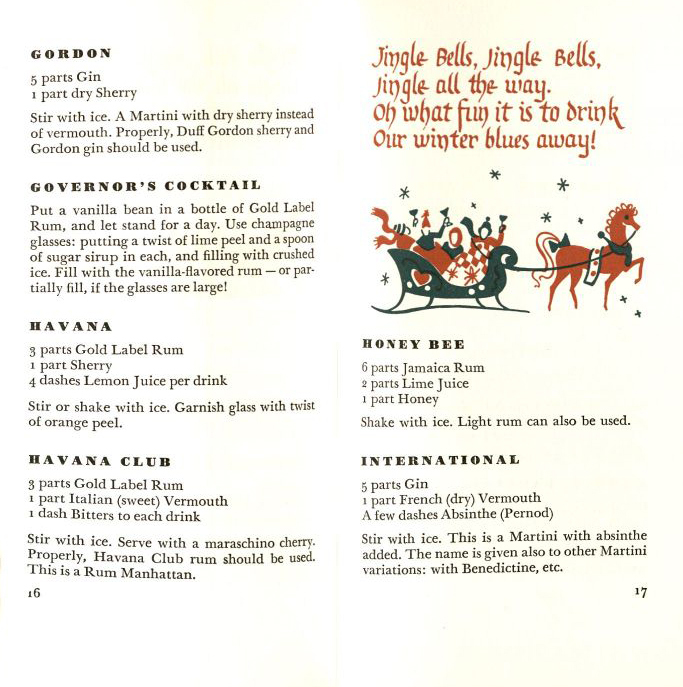 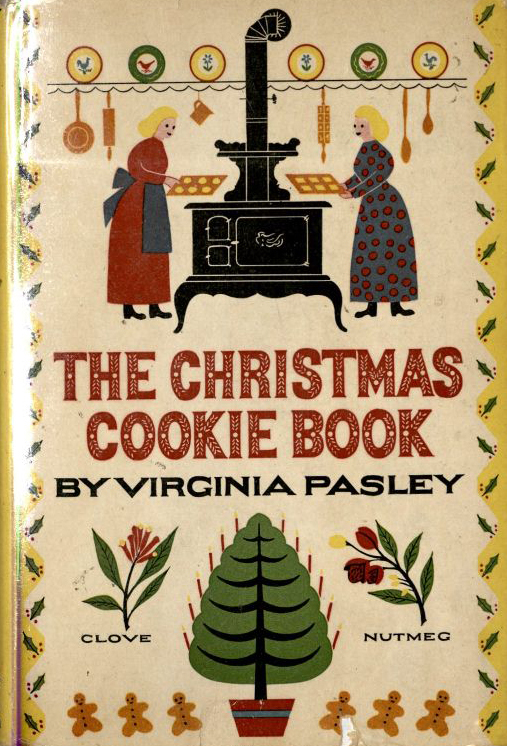 From the many recipe books in the Culinary Collection we've highlighted two in the gallery below: Virginia Pasley's The Christmas Cookie Book and Peter Pauper Press' Merrie Christmas Drink Book, which include holiday-themed cookie and beverage recipes. 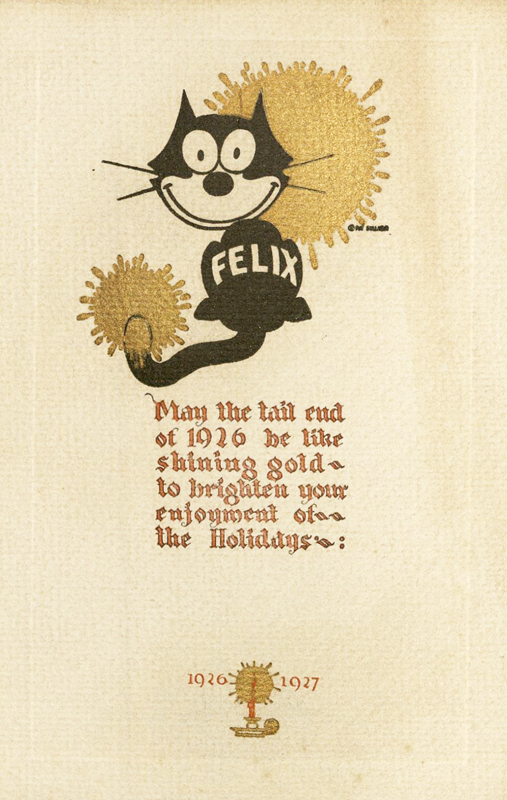 The gallery also includes materials from our archival collections. 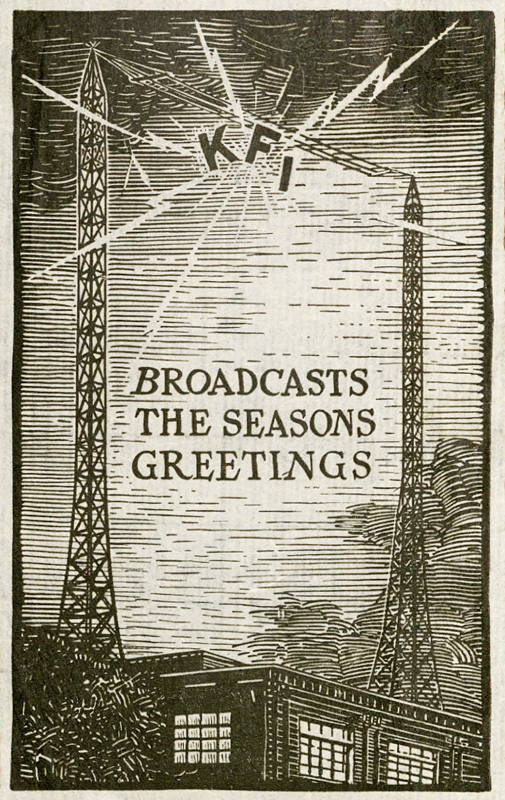 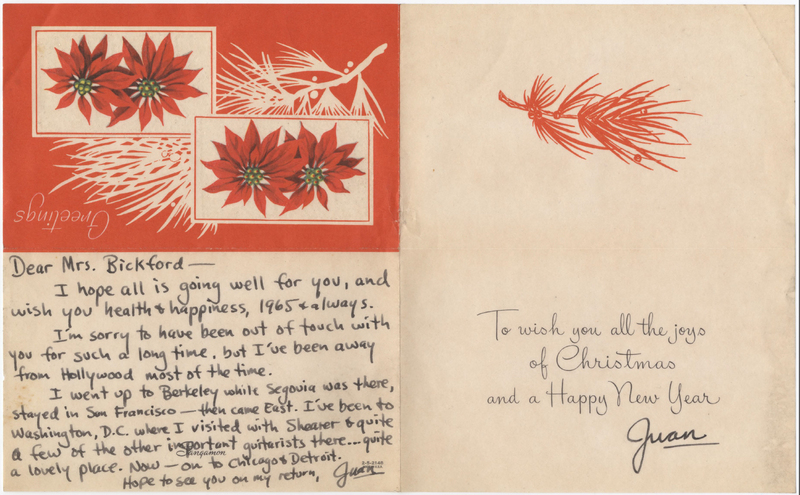 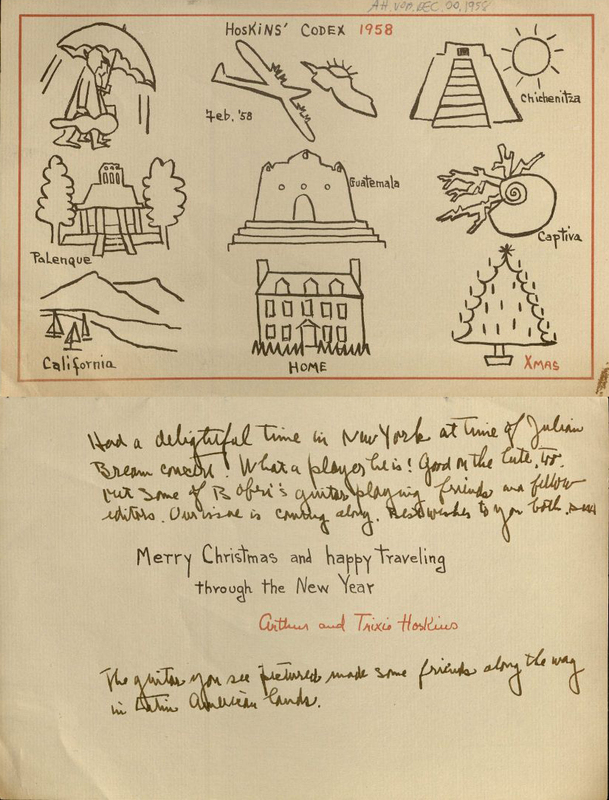 Special Collections' Kistler Printing and Lithography Collection, which consists of the Kistler family's lithography firm records, includes examples of corporate and personal holiday cards ordered by the firm's clients. 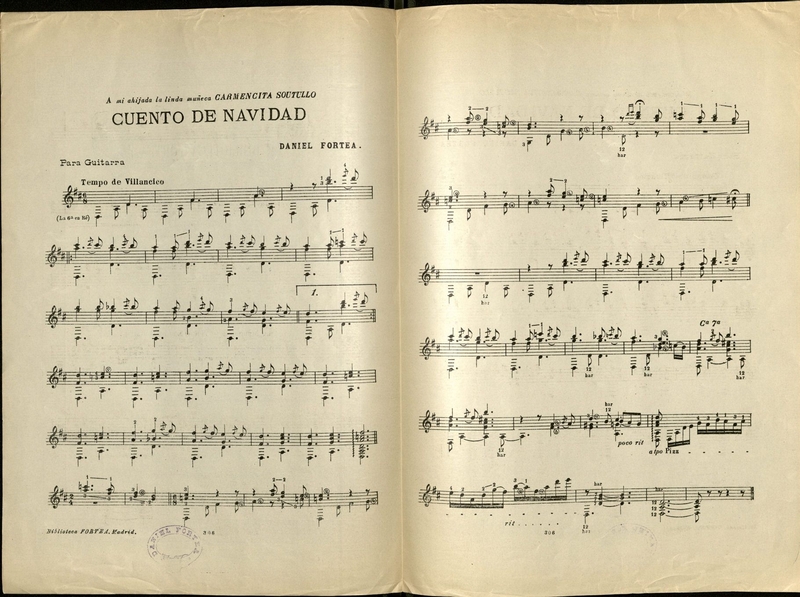 IGRA’s Vahdah Olcott-Bickford Collection, comprised primarily of guitar scores, correspondence, periodicals and LPs, includes a small number of holiday-related greeting cards and sheet music. 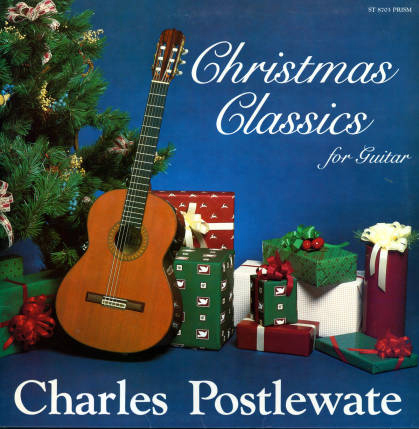 Also from IGRA, the John Tanno Collection consists primarily of classic guitar LPs, and includes some holiday-themed albums.